Very good book. 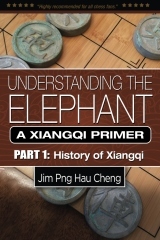 Anyone interested in Xiangqi (Chinese chess) should get this book. While not just for beginners a person who knows how to play the game might learn a thing or two about checkmate & openings. The book takes the beginner through every thing they need to know to play the game. Chess pieces, chess movement & capture, notation. The end game & all the way to the opening play., The chapter on the movement of the chess pieces is the easiest to understand & follow with the all the diagrams. Much easier then some books I have read on the subject. The each chapter ends with a self test to help the reader to strengthen their knowledge of what they read. Looking forward to the next book from the author. Now you can get 40% Discount for all my books! Add the books into your cart and applies discount code T6XW3XAP upon checkout! Printed Book and eBook is now available for sell at www.Amazon.com worldwide! Download and Read the FREE edition before you BUY. Click here! 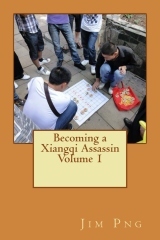 BUY printed book and pay only US$ 0.99 for eBook version**! 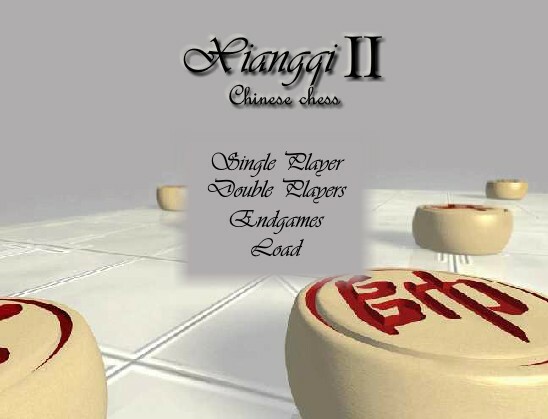 Xiangqi, or Chinese Chess which more Westerners may be acquainted with, is an ancient game with strategy that has been played for at least a thousand years. Through the ages, there have been many classics that were written about it, with the earliest publication on the form of Xiangqi that we know today in the late Song dynasty. Many have been lost through the ages, but a handful few have made are still present today. One of theses ancient classics is The Xiangqi Master from the Cave which was estimated to have existed at least over two hundred years ago. There are several unique features to this ancient manual. The Chinese name is made up seven Chinese characters, with each character representing a particular opening system being discussed. There are five games per character. 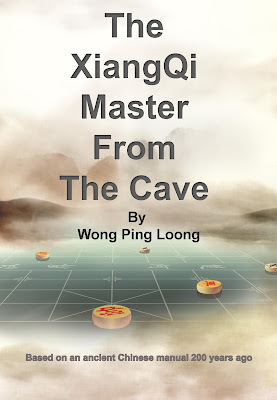 The Chinese name of the book, if translated directly would be Invincible after coming out of the Caves. There are not many variations but there are many tactics, strategies and brilliant kills that are demonstrated. 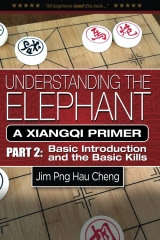 Although the level of play may seem simple by today's standards, it is nevertheless an ideal book for the beginner, amateur or even club level Xiangqi player to learn, for the ideas demonstrated form the basics of Xiangqi theory today. Detailed explanations have been provided to assist the reader in understanding the game. Ample diagrams have also been placed such that it would be easy to cross reference the moves and the actual situation on the board. The reader will be guaranteed to be amazed at the contents of the board, but more importantly, the reader will be able to appreciate the Chinese culture way back in the ancient times. OR buy from www.amazon.com worldwide.